Denver-based brand expands line of electric rideables with its largest and most capable hoverboard to date. We didn’t think the fun should have to end when the pavement did, so we created the HOVERFLY XL to be the most versatile hoverboard in our lineup capable of exploring the path less traveled. 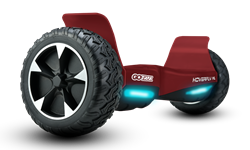 GOTRAX™, a Denver-based brand of electric rideables driven by imagination and innovation with a focus on science and education, expands its line with the introduction of the off-road ready HOVERFLY XL, its largest and most capable hoverboard to date. Building on the success of its signature hoverboards, the HOVERFLY and HOVERFLY PLUS, GOTRAX™ engineered the HOVERFLY XL to take riders beyond the pavement with 8.5-inch rubber all-terrain tires for maximum traction in dirt, sand, gravel and grass, and the ability to scale slopes up to 30 degrees. Fully UL 2272 certified, the HOVERFLY XL off-road hoverboard is among the most powerful on the market, producing top-ranking torque thanks to dual 350-watt electric motors (compared to typical competitors’ 250-300 watts) capable of propelling riders up to 7.4 miles-per-hour for 12 miles on a single charge. Available in five “Cosmic Colors” including Limited Edition “GALAXY,” a colorful collage bursting with the brand’s alien and robot characters, the HOVERFLY XL all-terrain hoverboard features “Lunar bright” LED headlights, dual fender foot-guards, durable high-quality construction with an external shield, aluminum wheels and non-slip rubberized foot pads. Multiple modes, including a Training Mode for quick and easy learning, make it easy to tailor the HOVERFLY XL’s performance to any experience level. 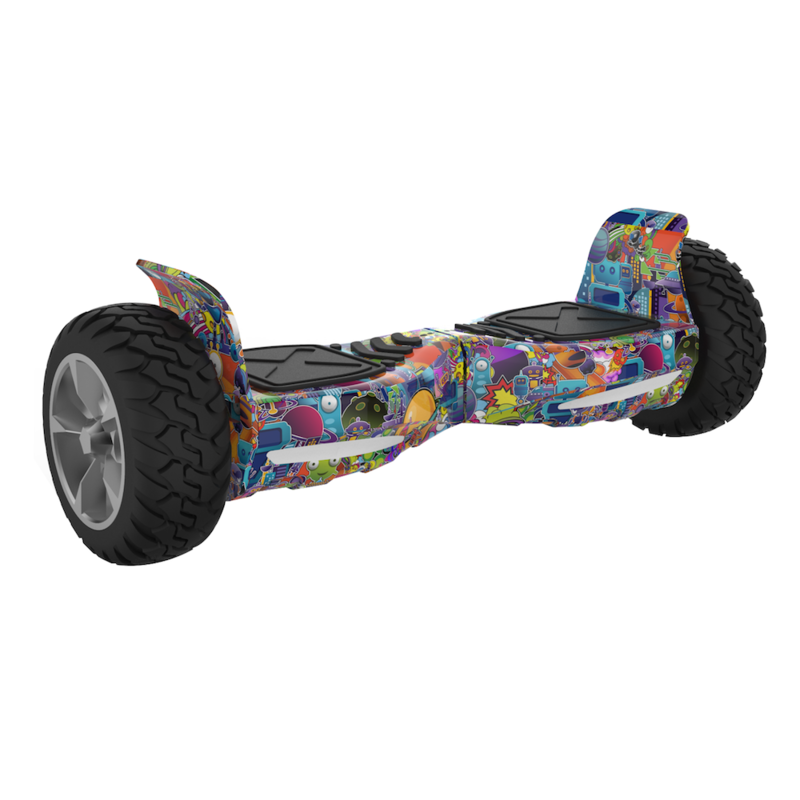 Also launching is the HOVERFLY ECO, a budget- and power-friendly hoverboard with all the features and fun of the original HOVERFLY at a price to fit any budget. To celebrate the launch, GOTRAX™ is offering the chance to win a HOVERFLY XL or ECO in an exclusive hoverboard giveaway. Those interested can enter to win at GOTRAX.com. The GOTRAX™ HOVERFLY XL retails for $299 (with a special introductory price of $249; $239 after $10 discount code available with email signup) and is available now at GOTRAX.com, Amazon and other fine retailers.